LONDON, July 2017 - Splento, the online hub for photographers on-demand has today announced that they will be sponsoring Finchampstead Football Clubs under 7’s squad. The UK's leading photography company, whose head office team comprises parents of young children are committed to contributing to schools and clubs which benefit the children of the local community and so decided to support Finchampstead FC. Finchampstead FC is a family-focused club providing football training to children and teens from the local community of Berkshire. The club, which is initially supported by local parents and run by volunteer coaches and managers are due to benefit from a two-year sponsorship from Splento to put towards the running of the club in the years ahead. As part of the sponsorship agreement, Finchampstead will feature Splento’s logo on all their away kit. Splento is the faster and easier way to book professional photographers, on demand. Founded in 2015, they have a large and growing team of carefully selected, professional photographers on hand in London to cover all types of events; from gala dinners, award ceremonies and networking events, to product launches, trade shows, and conferences. And with first-class customer service, a fast-growing number of photographers and plans for global expansion, Splento is the startup to watch. Finchampstead FC is a friendly, family-focused club providing football training to the local community of Berkshire where everyone is welcome, regardless of ability. With teams of all age groups from Under 7 to Under 18, which are run by volunteer coaches and managers the team’s ethos: "Passionate About Football" is clear to all who are involved. LONDON, June 2017 - Splento, a photographers on-demand booking platform has today announced that they have signed a partnership agreement with Encore, a musicians on-demand booking platform. Encore is the UK’s largest online network of musicians and, much like Splento, makes it faster and easier to book their members. The partnership is a strategic fit leveraging the two companies’ strengths in the events and entertainment industries. A recent survey conducted by Encore found that musicians thought good photographers were either too expensive or too difficult to find, but in partnering with Splento, Encore can now offer their 23,500 members Splento photography in the form of a special package deal, details of which can be found here. The two companies will join forces to give Encore’s musicians access to the professional imagery they need to stand out from the crowd and attract more bookings. The companies will participate in collaborative brand promotion across their various communication channels, such as their websites, social media and other online marketing content. Encore is also set to provide further valuable insight into what musicians need most in terms of types of professional imagery in order to market themselves and create their personal brand so that Splento can provide this tailored service. The joint venture will prove fruitful as through an exchange of analytics and data the two companies have the opportunity to better understand their positions in the events industries. Splento is a pioneering photography company that allows the faster and easier way to book professional photographers, on demand. Founded in 2015, they have a large and growing team of carefully selected, professional photographers on hand in London to cover all types of events; from gala dinners, award ceremonies and networking events, to product launches, trade shows, and conferences. And with first-class customer service, a fast-growing number of photographers and plans for global expansion, Splento is the startup to watch. Encore is the UK’s largest online musicians network and bookings service. By providing a platform that makes it easier than ever to find and book great musicians, they enable people to find musicians from anywhere in the UK and choose unique live experiences for their events. Their mission is to bring every musician in the world together and provide the best opportunities for them to advance their careers. They dream of a future where live music is everywhere. LONDON, May 2017 - Splento, a photography on-demand startup has acquired tourist photography company Fotourism. For an undisclosed sum, Splento has purchased all of Fotourism’s assets, including their website. The deal has also seen Splento gaining access to Fotourism’s thousands of happy clients and over 1,000 registered professional photographers worldwide. Fotourism’s customers are invited to register for one of Splento’s recently-launched business accounts for any future photography sessions, however, both companies have declared that no customer data will be transferred without the definitive consent of the Fotoruism customer. London-headquartered Splento currently works with hundreds of professional photographers. Now that the asset purchase agreement has been closed, Splento invites Fotourism’s 1,000+ photographers to join them. The acquisition of Fotourism’s worldwide photographers has meant that Splento has been able to bring forward their plans for worldwide expansion. Splento now plan to expand to the rest of the U.K. by the end of the year, to Europe by Q2, 2018 and the U.S. thereafter. Fotourism is a company that brings professional photography to tourists worldwide. Katerina Nikitina, CEO comments: "I'm very excited about the Fotourism and Splento merger. It will give our photographers more exciting work and our clients a faster and more seamless way to hire photographers around the world - not just for travel photography, but also for events, food, property and headshots". LONDON, February 2017 – Splento has launched their new chatbot named ‘Sam’ for Facebook Messenger and Telegram. The state-of-the-art algorithm makes it even easier for customers to book their photo-sessions online. According to VentureBeat, the average consumer believes that a business should be available 24/7 and don’t want to have to wait for business opening hours to ask a few simple questions or make a booking. Most customers also prefer to contact a business through instant messaging, rather than email or phone. This is why Splento’s chatbot was developed; for the purpose of providing ongoing customer support, delivered through the Facebook Messenger and Telegram apps. Customers can book professional photographers in under a minute by simply telling ‘Sam’ the date, time, location and type of photography required. They aren’t required to fill in any extensive booking forms, rather just engage in a speedy dialogue while the chatbot takes care of all the data collection. The booking is then automatically made and customers are sent a message with a link for them to pay via PayPal. “It took us a month to plan and develop our chatbot,” says Splento’s Head of Technology, Pavel Perelman. Splento sought out to find a better solution to its growing number of clients looking to book photographers last minute. “We wanted to make a booking with us even easier and after seeing chatbot technology trending in the media and hearing success stories, we were inspired to start developing our own,” he says. Not only does this development extend Splento’s customer service to time zones, areas and services that were previously unreachable, but it has made their service more on-demand than ever. Future plans are also being made for further development of the chatbot’s ability to answer a range of customer queries and to integrate it into other messenger apps. The chatbot is now available to use on Facebook Messenger and Telegram – chat to Sam today to make a booking in just a few minutes! Three huge things happened in 2016. Ok, four. The super-moon that we saw yesterday in London was the fourth one. Furthermore, Splento does not only allow you to save hours when booking a photographer but also to save hundreds of pounds and eliminate numerous headaches when dealing with professional photographers. To celebrate this wonderful news, we’ve listed 30 main reasons why Splento is the NUMBER ONE photography company in London and why you should choose Splento for all your photography needs. All our photographers have 5+ years of professional experience. Cheaper than any company in London. You tell us when and where & we’ll be there! Before they can join Splento, all our photographers are personally interviewed by our CEO and thoroughly tested. You’ll get your photos within 48 hours. Parties, events, conferences, property or food photography. We do it all! We have the largest team of photographers of any company in London. We always have staff on hand. Our photographers speak English, Spanish, Italian, Russian, Polish, Hindu, to name a few. If you need a photographer of specific nationality – just ask. You can track our photographers in real time. Do you need photographers & videographers and then want us to print out an album for you? You got it! If we don’t keep our promises – you’ll get your money back! Once you place a booking, you’ll automatically get a formal invoice to keep your accountants happy. With our Splento PRO package you own the copyright (no other company does that). With our Splento PRO package you get to keep all the raw files (no other company does that). With our Splento PRO package we’ll keep your photos forever on our servers (no other company does that), so you don’t need a paid DropBox account anymore. At the last count we had over 6,500 happy clients. We must be doing something right! Lots of amazing reviews with an average rating of 5.0. We have portable printers and can take them to your event for on-the-day photo printing to give out splendid mementos to your attendees. Give us a call, drop us a line, ask us anything any time of day! We are here to help. You can book a photographer in under a minute! All our photographers have professional indemnity insurance. All your information is kept private and secure, so you have one less thing to worry about. Do you want us to “photoshop” a competitor’s logo from your photoshoot, remove someone’s double chin or change colour of your shirt! No problem! Just ask. For large corporate events Live Photo Tweets are an ideal way to increase social media interaction and raise awareness of the event. 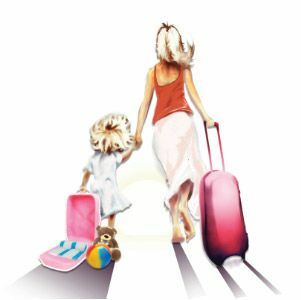 Intercontinental Hotels Group, The Royal Family, Forever21, Facebook, Canon, EventBrite and many other well-known brands and happy families are choosing us. Yes, 1980’s are back! Our photographers carry with them instant cameras, so if you fancy a few “Polaroid” style photos – just ask. Want your logo on each photo? We are masters at it and it will take us precisely 30 seconds to do it. Do you have hundreds of attendees and want each one of them to have their own gallery with their own photos? Easy! Ask our customer support for more details. Do you need a female photographer for your Women in Business event or some other reason? No problem! We have you covered! We are like Uber LUX, but for hiring Professional Photographers – reliable, affordable and on demand. Special events can live on in your memory forever, especially if you had an excellent photographer to capture the most precious moments of your life. However, it is not that easy to find a really good photographer in your area at the last minute, as most photography-related businesses require bookings made well in advance. Luckily, with the launch of Splento you can now book high quality photographers even at short notice. Splento is a fast growing London based company for hiring professional photographers, which makes it easy to book top professionals for any of your needs, be it event photography, food, staff, family or interior design photography. Whether you’re located in North London, East London, Croydon, Richmond or Westminster – now you can book specialist photographers on demand available everywhere in your area. The beauty of Splento is our simple and hassle-free booking system. To find a photographer just add date, your address and your photoshoot type (headshots, events, family photography etc.) and our system will automatically assign the best professional photographer for you, all of whom have been carefully selected, vetted and tested by us! Splento offers its clients exceptional quality, amazing customer service and the best value for money for professional photography services in London. Moreover, you get your photos professionally retouched and delivered straight to your email address within 48hrs. The main advantage of that arrangement to you – it doesn’t cost you a fortune! We charge only £49 per hour and as long as your photo shoot is in London, we always have specialist photographers available. Need to find a professional photographer near you? Incredibly easy with Splento! What do all the marketing professionals want for their content? Just up to date, modern, personal, new, engaging tailored visuals. Not too much to ask, right? You can achieve that with a huge budget, by hiring an in-house visual team, that is always ready to create and curate the latest content for your campaigns. That is one way to do it. If you are Coca -Cola, Nike or RedBull. What about the small and medium companies? They usually go to a royalty free website, and pick a few images, and then realise after that they have used the same images as their competition. Why would they do that? Because they are living in a world where a production cost for a photo shoot and an in-house or on-demand visual team is highly expensive. This is where Splento jumps in and gives all a fighting chance! Splento is officially announcing its product and releasing its iOS app (with Android to follow soon), allowing anyone and everyone to book same-day/on-demand photography while on the go. Through its app, Splento now enables users to select any photography session, specify what time they prefer the photographer to arrive, decide between an event-driven photo-session, a food photographer, editorial specialist, or a sports one. Advantages? Simple. You know the cost is low, quality high and you can have a photographer with you in a matter of hours, and pictures ready for your campaign in no time! Let’s take the Aspers example. A mid-size casino, the marketing team is in constant need of event, food and editorial photographers. They don’t have the budget to build that big team full time, and most photographers either booked for a last minute call, or they are too expensive for a small shoot. In the unique system that Splento works, we can cover those needs. A two-hour event, booked last minute? Sorted! New menu items, or new cocktails? Sorted! A quick shoot for a press release? Sorted! An eight-hour event with live visuals for social media campaign? Sorted! This way the marketing efforts are complemented by tailored, fresh, professional visuals, all within the budget. No rolling contracts, just an account, and an app. Sounds simple and effective? It’s supposed to be! So what happens now to Aspers? They have a vibrant visual narrative for their marketing campaigns, they are standing apart from their competition, they have more engaging social media accounts, and they can use their budget more effectively. So Aspers, technically speaking, has access to 100+ professional photographers as if they were their in-house team, without having the budget of an international conglomerate. They might have a preferred photographer. That can be arranged very easily, but if he is not available, Aspers will know that they have instant access more professionals of the same quality, and that will give them peace of mind. LONDON, June 2016 – Splento has made capturing life’s special moments a snap, by connecting over 6,000 clients with hundreds of UK’s top freelance professional photographers – on-demand, across the United Kingdom. Splento’s online marketplace offers immediate access to a network of qualified, vetted, professional photographers that you can book – in under a minute – at an affordable price point. Splento’s technology has made it incredibly accessible, convenient and quick for anyone to book their own professional photographer for that special occasion – where the iPhone and selfies just don’t cut it. The company continues to build strong business momentum, launching its mobile app this June – making it even easier to book a professional photographer, on-the-go. Splento’s custom built digital platform dramatically simplifies the process of hiring a professional photographer, and opens up a world of possibilities for its network of freelance photographers to connect with clients and build their business. Splento’s clients include Bank of America, Bannatyne Group, Intercontinental, The Institute of Directors (IoD), the Royal Family – to name a few – with a vast majority of clients being individuals and small businesses. Business Ideas for 2016 and Beyond: On-Demand Service App. As consumers are becoming increasingly lazy, there are still a number of on-demand services for markets and regional opportunities to capitalise on in 2016. Whatever your view on on-demand services hype, this is where the tech world is going at the moment. Splento made themselves known in the world of the on-demand photography. Making them a part of the whole generation of news start-ups and guess what, there is nothing stopping them now. This kind of start-up is too addictive and way too lucrative to do very little about it. Just like Airbnb, Bizzby, Uber and Styleseat and Soothe – you name it, a whole wave of start-ups are vying for a share of the large, and potentially lucrative mobile services market – and while taxi apps and holiday rentals may be overdone, there are a whole range of other sectors – and regions – to potentially disrupt. From beauty to domestic services– there’s still a fantastic opportunity (not for the fainthearted) for online platforms and apps to capitalise on this popular (and still growing) trend, with its sole purpose to do a face-lift to previously laborious tasks into instant, low-cost solutions. 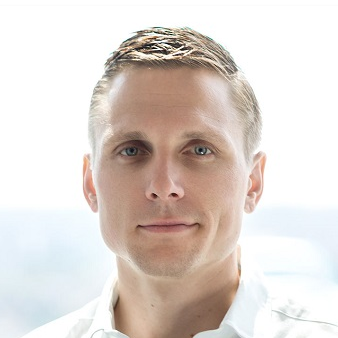 CEO and Founder of Splento, Roman Grigoriev believes this is not just a trend, it’s where the whole world is heading. He agrees that competition is growing and there are plenty of interesting start-ups trying to find a place under the sun and make money. Cisco predicted a rapid growth of smartphone users by 2018, with a staggering number reaching 2.7 billion and the research commissioned by Google revealed the smartphone application business is forecasted to be worth over £30bn to the UK economy by 2025. So buckle up people, on-demand services are here to stay and you better familiarise with them now. But enough about tech market, let’s talk about Splento. Splento is an exciting new photography company based in London. They provide high-quality professional photography on demand for only £49 per hour. Their photographers are on hand to cover all type of work: launch party photography, summit and conference photography, trade show and exhibition photography, seminars and breakfast meetings, award ceremonies and gala dinners photography, festivals, sports, fashion shoots, look book or social media imagery; promotional work; bands & gigs; or for any individual. This is not a full list! They also offer great rates for all types of event organisers. Roman is claiming that by using Splento services you will save time and effort; and you receive a service with professionalism, quality and affordability. Amongst professional photographers, Splento also has a team of professional photo editors, who are ready to retouch your photos. We are not talking about airbrushing, but professional enhancement of images. Photographers and retouchers are working hand in hand, each concentrating on what they are doing best. This means you get the best possible quality, at the most affordable price in London and in a very short time period (images are ready for you to view within 48 hours, guaranteed). Roman is expecting to expand and move his idea forward fast, as winners are decided by how quickly they can move from what they are now to what they need to become. However, it not just about the speed of progress, you have to have the right team to help you do it. Splento is comfortable that they have got what it takes and ready to pioneer their business. What’s more, Splento’s client base is growing steadily and photographers are getting very interested in being a Splento Photographer. Roman said that they are getting quite excited, as opportunities for expansion are there, however they are also keeping their focus on providing quality service over quantity. Book any kind of photo session with a click of a finger and receive your professional photos within 48 hours. LONDON, March 2015 – Entrepreneur Roman Grigorjev launched Splento, his new website and iPhone app which with a click of a finger allows people to book a professional photographer (vetted and approved) for any kind of event you desire. Splento allows customers to book any kind of photo session they wish, be a corporate party, birthday party or just for fun. Photographer will arrive within a couple of hours hours and send you professional photos within 48hrs. Guaranteed! Customers are given the option to pay per hour £49 or £299 for the whole event. There is also an option for bespoke photo session, in case there are certain specifications set by the customers. Once you have booked a photo session, you will receive a confirmation via email and you can track where your photographer is. Splento development team put a lot of effort and time developing techniques and technology to ensure that they could deliver a high end product in London, which is consistent and guarantees level of exceptional quality, before starting their national and international expansion. From a team of two sharing a desk as an office in 2015, Splento has grown to a steady team of seven over the last 12 months and is continuously doubling its revenues month-on-month. “I found that finding a very good photographer was quite challenging as you need to do a lot of research first before going for the right person. This really was the beginning of Splento. I have realised that there was nothing available in the market. I was after Uber for photography. It was a long and challenging process to find the right photographers to join our team, however we now have a steady group of fantastic photographers who are doing an ace job”, said Roman Grigoriev founder and CEO. He continued, “So we set out to change the way people think about booking photographers, aiming to demonstrate that it doesn’t have to take a lot of time and money to book a professional photographer. Photos are professionally retouched by a team of experts and delivered straight to your email within 48hrs. It really is as simple as that.”. “Now with Splento we are enabling people, for the first time, to book a professional photographer for any kind of event or occasion on the go with just a click of a finger”. Splento app allows you to request a professional photographer to come to your location within two hours of booking. Professional photographers for any type of event, be it a corporate party or fashion photo shoot can be summoned at a click of a button thanks to a new app called Splento from tech entrepreneur Roman Grigoriev. On-demand app Splento will send a professional photographer to a requested location within two hours of processing a request. The company follows hot on the heels of on-demand taxi service Uber, following a growing trend for start-ups that offer consumers immediate services. The service, which launched in early 2015 has already serviced thousands of clients. More than 6,000 of jobs have been processed through its system, which currently boasts more than 100 vetted professional photographers. “You don’t need to book ahead of the event anymore,” says Roman. All you need to do is book a photographer for required number of hours and they come to your desired location. You can even book up to five photographers at a time if you fancy feeling like a celebrity. The price structure is extremely easy to follow, £49 per hour (you can book as many hours as you like) or £249 for a whole event, which is their most popular option at the moment due to the high demand of corporate events taking place in London. All photos will be professionally retouched and ready to be sent to its customers within 48 hours. There is no need to wait for weeks or even months anymore. No cash touches hands, as customers pay via the app/site during the booking process. Technology is crucial to the service, which uses a proprietary algorithm to ensure that supply and demand ratios are balanced. “We’re cheaper than you can find anywhere else,” claims Roman. “We are bringing professional photographers directly to you at a fraction of a price without compromising on the quality”. Splento is currently available within M25, however bespoke events can be booked for any location of your choice. “Once we have proven that this unique platform works efficiently, we’ll export it to other countries,” said Roman. A genius Idea: Find and book professional photographers on demand. Londoners now have a robust marketing tool that brings photographers and customers together on the same platform. Like many promising startups, Splento began with a problem. When Roman Grigoriev wanted to book a professional, carefully vetted photographer for his wife’s 30th birthday party, he struggled to find someone who was skilled at taking good professional photos within his budget. Friend recommendations and google search took him so far and those photographers found were either fully booked or charged an arm and a leg for the so-called photo-session. So he thought that what was missing in the market is photography on demand solution. 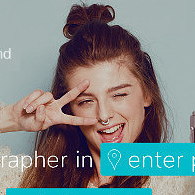 Think Uber but for photography. Roman has had already some experience in launching startups decided to roll up his sleeves again and get in touch with the people in the know. With a small group of friends, they have started looking into the market niche. Splento launched in early 2015 and has since expanded to more than 100 photographers in the database and thousands of happy customers. The site is designed to make it easy for customers to book a photographer without spending hours googling his/her credentials and portfolios, just as Uber makes it possible for customers to book a ride. Users can book a photographer within any M25 postcode. Professional photographers are all carefully vetted and interviewed by Splento, before being added to the platform. Users will be able to book a photographer who specialises in a certain type of photography. However, all photographers have a wide range of skills from events photography to newborn photo sessions. Thanks to the hassle-free payment processing, you can pay online either via PayPal or credit/debit card. Once payment went through and you receive a confirmation, your photographer is booked. Beyond developing its business model, Splento is also building apps for iPhone and Android devices and making it easier for consumers to book photographers in a more convenient way. Splento is a fast-growing UK tech success story launched in London and soon to expand globally. Splento’s award-winning app offers customers immediate access to professional photographers at the tap of a button. Splento’s mission is to connect people to the world of affordable and professional photographers on-demand at a fraction of a market price – at only £49 per hour. Splento is at the forefront of the ‘Now Economy’, revolutionising the way photo sessions are booked for personal and business use. Splento is crazy about getting stuff done quickly, efficiently and to an exacting standard. The team is creative, thinks differently and loves solving impossible problems. Splento obsesses about user experience and is nuts about quality and service. You’ll be surprised, but we don’t think of ourselves as being in the photography business. We think of ourselves as being in customer service business. We are here to help you. We are here to solve our problems that are usually associated with a process of booking a professional photographer. We’re always on the look out for talented, exceptional people to join the team. Our office is located in the heart of North Greenwich, just one minute’s walks away from the station. If this sounds like a match, we’d love to talk to you! This is a two-way street for us, so if you like our style, please go to our website, play with it. If you believe in what we’re doing and would love the chance to be involved and feel you can add real value – we’d love to chat and see if we could be a great fit. Booking a professional photographer has never been easier. This personal on-demand service is so simple that all the big bucks can be spent on the event itself or that outfit that you really wanted. It’s always about teamwork, without a great team you’re screwed! 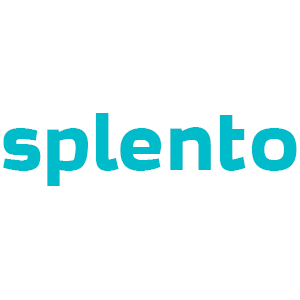 May 23, 2016 Introducing Splento, Professional Photography On-Demand.